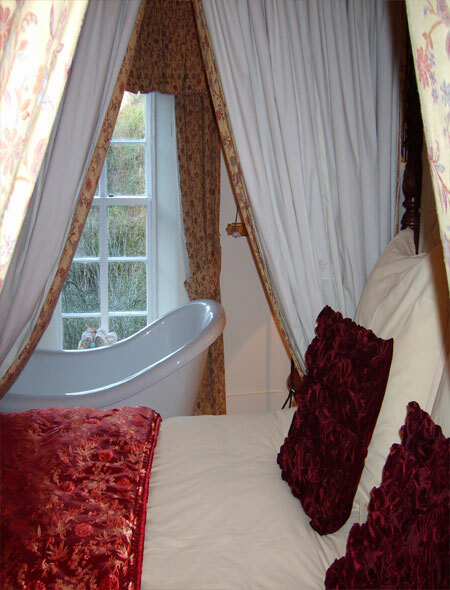 The Castle can sleep upto 24 people with 11 double bedrooms, 8 having four poster beds and a sea view and 5 having ensuite facilities. All the rooms are individually decorated and furninshed giving each its own unique feel and character from grandeur to cosiness, from chic to homely. To make sure you have that true feeling of pampering and luxury at the end of a hard day we use the finest designer bed linens from Ralph Lauren, Yves Delorme, Christy and the White Company. Bathrooms are in traditional Scottish tongue and groove style but with contemporary touches of Jacuzzi baths, spa shower cabin and a slipper bath. Complementary exclusive soaps and shower products and soft fluffy bathrobes round off the luxury.